Vinyl is trendy, vinyl is hot. 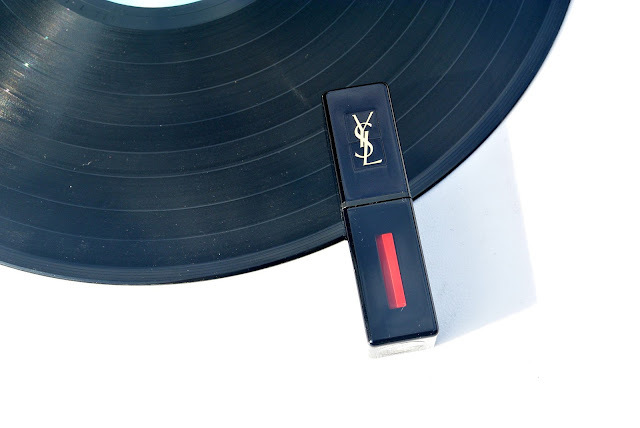 Yves Saint Laurent is taking this trend to a next level with their new product: Vinyl Cream Lip Stain. 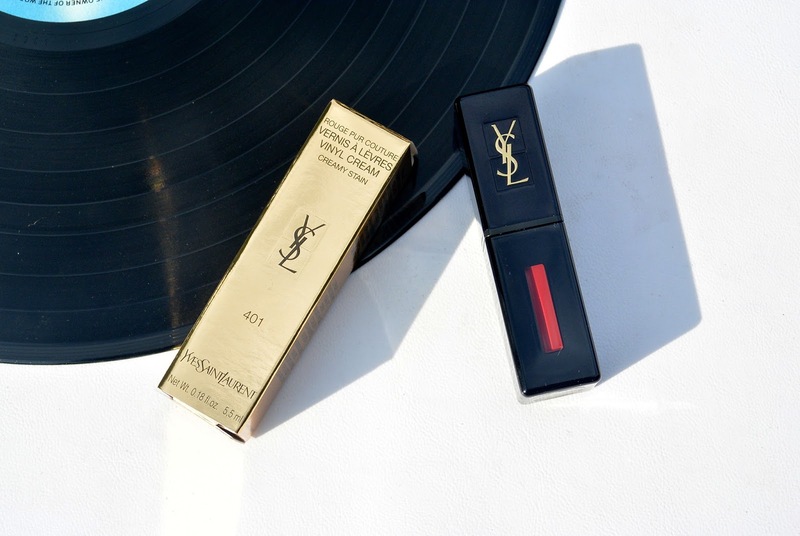 The new Vinyl Cream is dangerous, rebelious and addictive (just like the YSL-women). 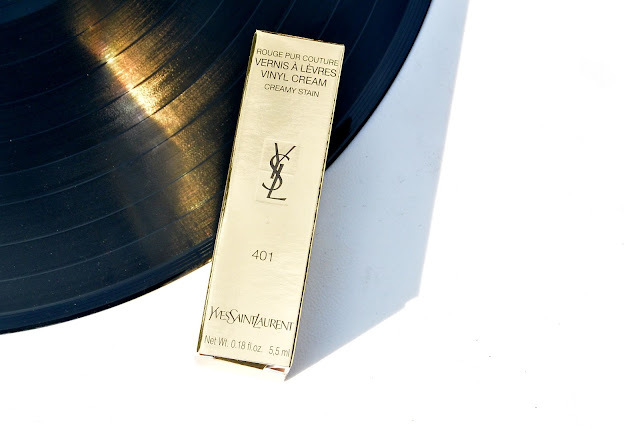 This Vinyl Cream by Yves Saint Laurent is a mix between a lip stain, a lip gloss and a lipstick. This Vinyl Cream is very comfortable on you lips because of the cream that was used in this lipstick, but the gloss is so intense, it's almost as bright as a vinyl record. 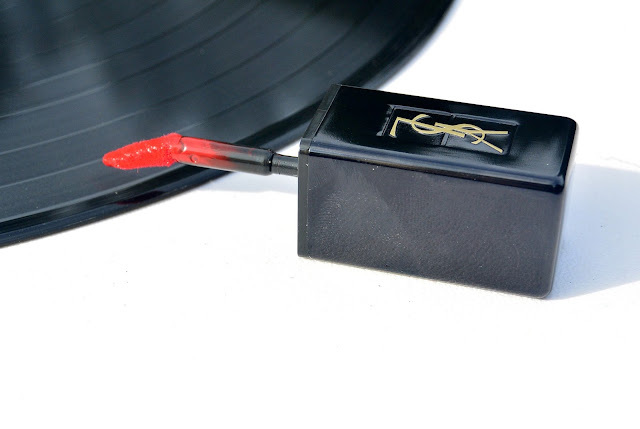 The brush is slightly overturned, just like the needle we used to put on our vinyl records. This applicator is so easy to apply your lipstick. In the swatch above you can see the Vinyl Cream has a nice coverage, a perfect pigmentation and as I already said it feels so comfotable on the lips! Yves Saint Laurent Vinyl Cream is available in 12 different colours. 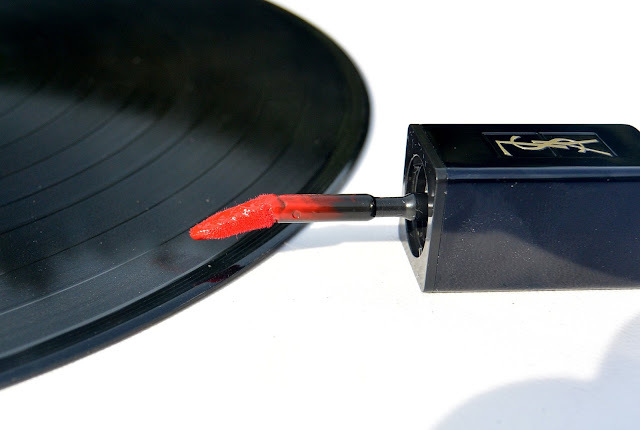 The Colour used in the pictures is 401 - Rouge Vinyle. 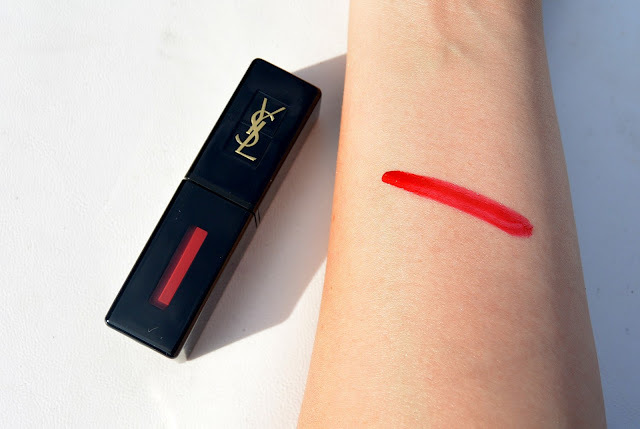 What do you think about this new YSL product?